I have yet to outgrow children's picture books. I especially love the resurgence of books that cleverly weave historical people into the story. Author Torban Kuhlmann uses a mouse to build a connection with Thomas A. Edison. First of all, the illustrations in Edison are vibrant and incredibly rich with detail. The kind of illustrations that enhance and help the story along. No stick figures or crude drawings, but true works of art throughout the book. The kind of book in which a non-reader, having heard the story, can go back and relive the story through the illustrations alone. We are talking frame-worthy art--I love that children can be exposed to detail and beauty! The story is a bit longer than a typical picture book. 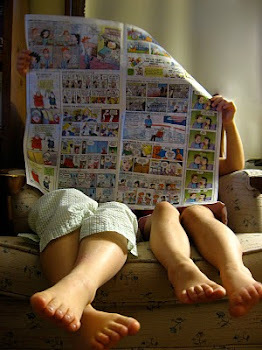 Parents can stretch out the reading over a few bed times or snuggle in for a longer reading time on a rainy afternoon. I suspect even the wiggliest audience will beg for more at each chapter end. I love that the little mouse hero is encouraged to dream big and try to solve problems. With the help of a kindly mentor, Pete, goes off to hunt down a mouse treasure. You'll have to read the story to find out what a mouse has to do with Thomas Edison! 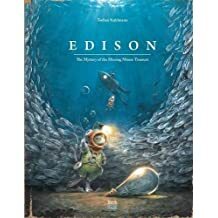 I loved that the author included information on Edison and others who contributed to the field of electricity. I highly recommend this book as a family read aloud, or an independent read for older children. Hopefully the topic will generate further interest in STEM related topics. This book provides an engaging way to encourage children to explore, invent and solve problems! Disclaimer: I received a free digital copy of Edison: The Mystery of the Missing Mouse Treasure free from NetGalley. No other compensation was received.